Today is We hope you have a pleasant experience navigating through our pages. All feedback welcome! Vidsonix Design Works was established in June of 2000 as a design house for various corporate clients in the audio industry. [Our staff has over 30 years experience in the audio field.] As time went on we saw the opportunity to develop our own brand name. 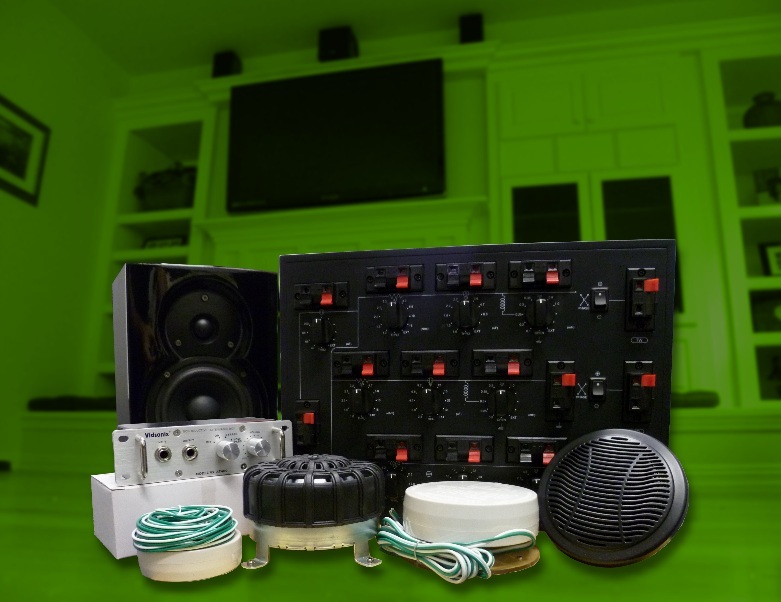 On the consumer side, we have been a globally recognized harbinger of Pro Sound, Home Theater, and Marine Speaker products. We also supply a wide variety of marine audio and plastic parts to the Pool & Spa Industry. The growth in this industry has been due to our outstanding design support and customer service. In 2000, Vidsonix started out of a garage in California. Today, Vidsonix works out of its 11,000 sq. ft. office and warehouse in beautiful Mooresville, North Carolina. We also utilize and maintain a warehouse in Rancho Cucamonga, CA. We would like to thank all of our customers for their support during our growth. Vidsonix invests hours of time and money into the research and development of its potential future products. Utilizing the latest in acoustic theory and test equipment (LMS, Sample Champion, FineSPL), coupled with hours of practical trial and error laboratory testing, Vidsonix is thoroughly committed to giving you a top-notch listening and user experience. Two such by-products of this R&D are Sonic Ricochettm and Synergic Symmetrytm, which have been incorporated into many of our home theater products.